Wednesday I traveled to Annapolis to testify in opposition to SB 281, the painfully misnamed “Firearms Safety Act of 2013.” I was not alone. Media outlets counted “hundreds” but there were probably at least 5,000. According to the office of Senate Judiciary Proceedings Committee Chairman Brian Frosh, 2,444 people originally signed up to testify. Another 200 or so signed handwritten sheets to voice their opinions. Within the Miller Senate Office Building, the hearing room and two overflow rooms were closed as they reached their rated capacity. The hallways were jammed with people. Thousands of people milled about the State House courtyard outside. I was told it was likely the largest crowd ever signed up to testify in Maryland history. They have not taken a count of supporters vs. opponents, but most opposed. There were actually four gun-related bills slated for discussion: SB 281, SB 266, SB 420 and SB 228, but the primary focus was SB 281. Hearings began at approximately 1:00 p.m. Chairman Frosh allotted eight hours for testimony, four hours for each side. Governor O’Malley began the testimony, stating in his remarks that they were only making “sensible” proposals and weren’t trying to take away anyone’s gun rights. In response, Carroll County Senator Joseph Getty relayed concerns from retired law enforcement members in his community who had faced death threats from criminals, afraid their gun rights would be lost. O’Malley replied without irony that there would be exceptions for law enforcement. Thirty-three people testified in support of the bill, primarily Democrats in various state and local government posts who Governor O’Malley could rely on for political support, and a few “expert witnesses.” A few local leftist advocacy groups also testified. They told us not to worry about the Second Amendment because, after all, the U.S. Constitution was a “living document.” They added that Bigfoot has been sighted in Montgomery County, butterflies are free and unicorns really do fly. The last few O’Malley supporters trailed out of the building before 8 p.m., but at that point Chairman Frosh said there were still over 1,000 opponents who had not yet spoken. He cut off further testimony at 9 p.m., but allowed those still waiting to come to the podium and announce their names. When I left at 9:30, there remained a line that stretched out of the hearing room, down the hall, around the corner, along the main hallway and down the stairs to the first floor. As is typically the case, the O’Malley crowd trotted out an endless stream of straw-man arguments to plead support for this awful legislation. Proponents described the gruesome impacts of gun wounds, the violent-crime rate, scary magazine capacities of some semi-automatic firearms, and the entirely false characterization of “assault” weapons subject to this new legislation as machine guns. Both statistics and common sense tell us this must be so. Law-abiding citizens abide by the law. Criminals obtain guns illegally and have many methods to do so. American street gangs are a major source of inner city gun violence. Does anyone seriously believe another gun law will disarm them? In Maryland, regulated firearms are currently subject to both the federal NICS instant check required of all firearms purchases and a state check with a seven-day waiting period. The new proposals would ban many guns and effectively create massive new regulatory burdens for legal firearms purchasers and owners, under the threat of incarceration, who will also have to be fingerprinted. This new bill will check the check. New handgun owners will also have to pay a $100 license fee every five years and take a 16-hour course in firearms safety at their own expense. Will the criminals enroll too? 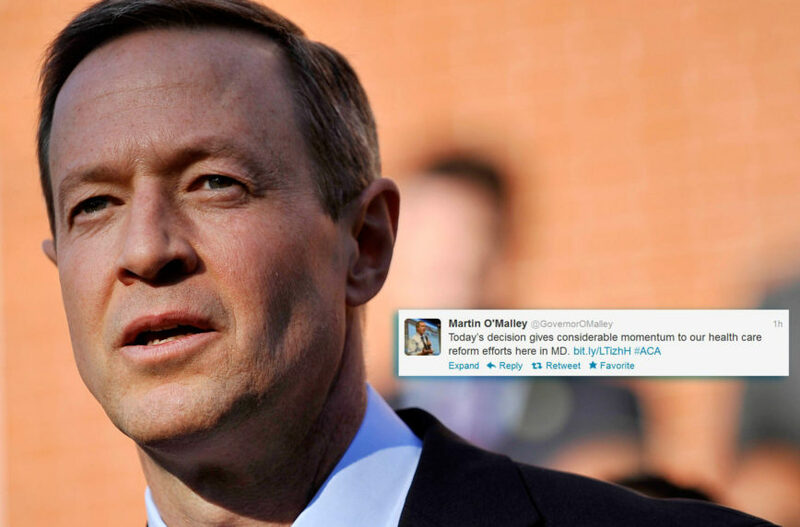 O’Malley’s only justification for these new, punitive restrictions is that they may discourage “straw purchases,” i.e., legal purchases made on behalf of a prohibited person. Is the seven-day waiting period not enough of a discouragement? Apparently not. And what happens when O’Malley and Co. discover, as they will, that these new onerous restrictions have no impact on illegal gun crime? When the next mass shooting occurs—and it will, precisely because the gun ban crowd is taking exactly the wrong approach to this problem—there will be calls for a complete ban, because, they will say, we didn’t do enough. That is what they really want anyway, so let’s indulge them in a thought experiment. What if we completely banned all firearms? Let’s assume it actually worked and Adam Lanza had no recourse to firearms. Could he not jump in a car and attack kids at a crowded bus stop, perhaps killing more? How about firebombs? For the 1999 Columbine, Colorado High School attack, the two perpetrators, Dylan Klebold and Eric Harris, manufactured a total of 99 explosive devices. This included two diversionary bombs set elsewhere in town that exploded before the attack, 30 bombs that exploded at the school, 46 more that did not explode, 13 in their cars and eight more at their residences. Police determined that the two unexploded propane bombs left in the cafeteria could have killed up to 488 students, all who were at the cafeteria when the bombs were set to detonate. Great Britain, which has had a complete ban on handguns and semi-automatic weapons since 1998, is held up as the consummate example of gun control. Yes, Britain does have lower firearms homicide rates than the U.S., but the trend in Britain is up. Since the ban, British gun crime of all types has skyrocketed. Handgun crime increased 123 percent between 1998 and 2002 and has remained well above its pre-ban levels. Despite increasingly draconian gun laws, gun crime in Britain has increased almost 600 percent since 1978. One cannot argue that even complete gun bans would prevent criminals and terrorists in the U.S. from obtaining guns. There is a robust international trade in small arms, much of it illegal. The world market is awash in weapons from past wars and defunct governments. Many of these are genuine assault weapons, i.e., capable of fully automatic fire. Most weapons in the hands of Mexican drug cartels are of this type, and did not come from U.S. dealers as alleged by the gun control crowd, because they are much more difficult and expensive to obtain in the U.S. In 1996, U.S. Customs seized a shipment of 2,000 AK-47 genuine, fully automatic assault rifles from the China Overseas Shipping Co. (COSCO), the merchant marine fleet of Communist China’s Peoples Liberation Army (PLA). It was the largest seizure of its kind in U.S. history. The intended recipients were allegedly Los Angeles-based illegal Chinese immigrant gangs. Gun banners argue, wouldn’t all this be worth it if we could even just save one life? They never consider the other side of the argument, i.e., what are we losing by restricting law-abiding citizens’ access to firearms? A Justice Department study found that firearms are used about 82,000 times per year to defend against violent assault and property crimes. How many of those 82,000 have to lose their lives to save the one? This is a minimum estimate. The actual number is likely much larger as many crimes go unreported and many defensive uses of firearms prevent a crime from occurring at all, so there is nothing to report. In an illustrative case familiar to this writer, an elderly man with a concealed-carry permit was approached in a Philadelphia parking lot by a group of young men who obviously were targeting him. While they were still a good distance off, he lifted his jacket to reveal his holstered weapon. The men fled. He got in his car and drove off. During the Rodney King riots in 1992, many Korean business owners stood guard over their property with their firearms prominently displayed. Korean businesses suffered a large proportion of the losses during the riots, and those firearms proved critical to their survival when police abandoned the area and left them to face the rioters alone. They were exceedingly grateful for high-capacity magazines. The issue of “gun free” zones was mentioned but not seriously discussed. Allow me. In 1983, the city of Takoma Park, Maryland declared itself a “Nuclear Free Zone” in a silly nod to the nuclear disarmament movement. Of course, Takoma Park, proud of its lunatic-left heritage, has doubled down with a 20 year “nuclear free” anniversary announcement in 2003. Does any serious person believe this sentiment will deter any nation intent on obtaining and/or using nuclear weapons? Does any serious person believe that Iran would be dissuaded from attacking Washington, DC because Takoma Park declared itself “nuclear free?” Do they think that the nuclear blast and fallout would somehow circumvent the enlightened Takoma Park? The same kind of mindless logic animates proponents of “gun free zones.” Once again, it makes the absurd assumption that people of violent intent will be deterred by some idiotic pronouncement. The opposite is true. The Virginia Tech massacre occurred in a “gun free” zone. The Aurora, Colorado killer chose the one movie theater with an advertised “gun free” policy. Sandy Hook was “gun free.” These kinds of mass killers choose locations where they will face no armed opposition. The minute anyone with a gun appears, they commit suicide or flee. Gun free zones should properly be called “free fire” zones, because they assure the shooter will be unimpeded in his efforts. Advocates of “gun free” insanity can claim at least partial responsibility for these mass murders. The one positive aspect of these hearings was the focus on mental illness. Mass killers are mentally ill. Psychiatric medications may play a role as well. According to polls by both Rasmussen and Gallup taken shortly after Newtown, most Americans believe treating mental illness is the most important factor in preventing these mass crimes. But if every Adam Lanza in the U.S. was institutionalized, schools would remain vulnerable. Because while the Department of Homeland Security turns against its own patriotic, law-abiding citizens, calling us potential domestic terrorists, it blatantly ignores the many terrorist cells in this country here, now. 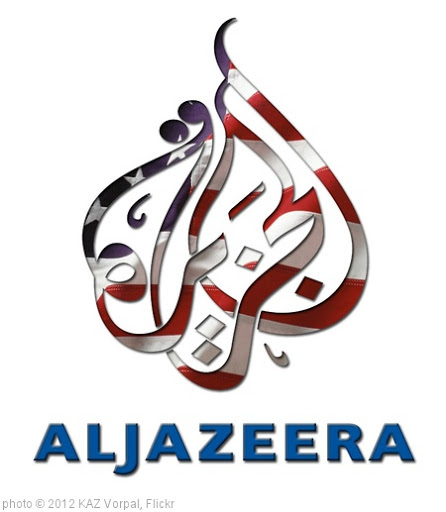 There are at least 35 Jamaat-ul Fuqra terrorist training camps in operation within the United States today. These are privately-owned compounds, complete with gun ranges and underground bunkers. They have been implicated in multiple murders, bombings and other crime. There are Hezbollah and Hamas terrorist cells operating throughout the U.S. Many of their members entered illegally through our porous southern border. Schools are natural targets precisely because school shootings have become such a focal point of national angst. They threaten our nearest and dearest. Also, because foolish politicians like this governor will double down on gun ban efforts and if another attack occurs, the terrorists will gain freedom from the one thing they do fear in this country: an armed populace. When we are disarmed, they will have complete reign. This is a likely strategic consideration of terrorists. This ill-conceived legislation will not stop school shootings. Even Joe Biden says so! Is there any doubt that the Sandy Hook teachers who sacrificed their lives in a vain attempt to save their children wished they had been armed that fateful day? Is there any doubt that a few armed citizens can provide immediate, on-the-ground security in the event of future such attacks? Is there any doubt that firearms can be an effective deterrent to would-be killers? There is a reason we have the Second Amendment, and it is needed now more than ever. Loosen Maryland’s onerous restrictions on concealed carry—recently found unconstitutional. Train teachers. Do extensive background checks on them if you want. Stop putting our lives at risk with further bureaucratic restrictions. Trust your law-abiding citizens. Let us defend ourselves and our children. There are no more dedicated servants.